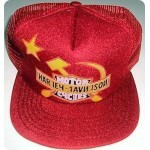 The hat was made to commemorate the start of Harley dealerships in former Soviet Union. 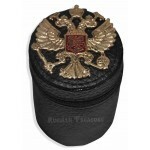 We have a few hats left but this is a discontinued design - Harley Davidson will not be making these caps any..
Military officer Flask with various Soviet USSR or current Russian military badges and medals. 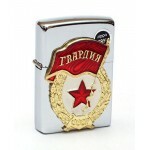 Souvenir/Decorative Flask Height: 4 7/8 inches (12.5 cm) Condition: Bra..
Windproof Lighter - KGB office, USSR/CCCP is a great gift. Issued to the officers of KGB - a secret police in the times of USSR. The lighter works great in the windy conditions. 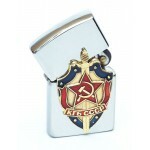 Note: the ..
Windproof Lighter - National Guard, USSR/CCCP is a great gift. Issued to the National Guard army units (usually the troops deployed to hot military action zones). 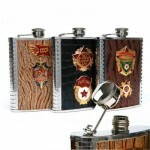 The ligher works great ..
Cups for officer's flask - KGB design is a perfect addition to the officer's flasks. 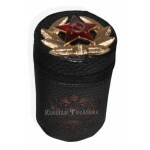 The cups come in the leather pouch making it a perfect for travel and sharing with a drink ..
Cups for officer's flask - Russian Army Double Eagle design is a perfect addition to the officer's flasks. 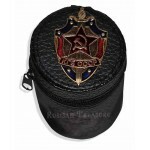 The cups come in the leather pouch making it a perfect for travel and..
Cups for officer's flask - Russian Army National Guards design is a perfect addition to the officer's flasks. 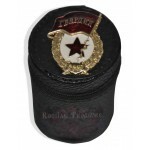 The cups come in the leather pouch making it a perfect ..
Cups for officer's flask - USSR-CCCP Red Army design is a perfect addition to the officer's flasks. The cups come in the leather pouch making it a perfect for travel and s..